December celebrates Sagittarius, the sign that represents those who love adventure and freedom. It’s the perfect month for you as you’ll be surrounded by family and friends during the holiday season. They will flock to you because of your excellent skill in conversation and fun nature. Gift yourself this year with a Sagittarius mala bracelet, featuring your birthstone, Turquoise. Or maybe if you drop the hint to your multitude of friends, they’ll get you one, instead! Sagittarius love to travel and will attract a variety of friends from around the world if they choose to do so. Those close to a Sagittarius know they can find generosity and honesty from them, although sometimes that honesty is not expressed diplomatically. Those born of this sign are unhindered by emotions allowing them to accomplish much, but it can cause issues in relationships. Turquoise’s physical appearance it that of a mix of cool greens and blues, it’s very look promoting tranquility. It is a master healer, and will offer protection to its wearer in their travels. 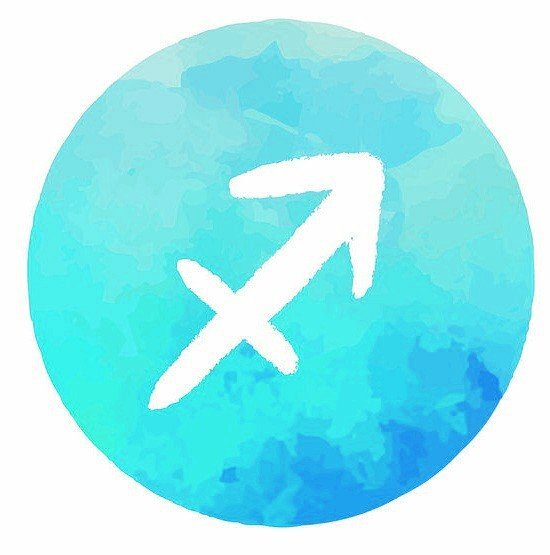 This makes it perfect company for a Sagittarius, who long for travel and experience in the many cultures across the globe. It also promotes communication and wisdom, which may help the emotionally detached Sagittarius to understand the feelings of their companions. 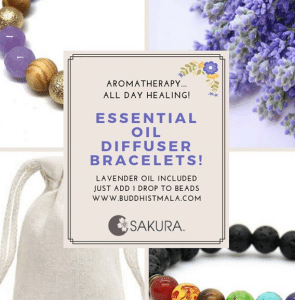 Use this mala to connect yourself to your sign. 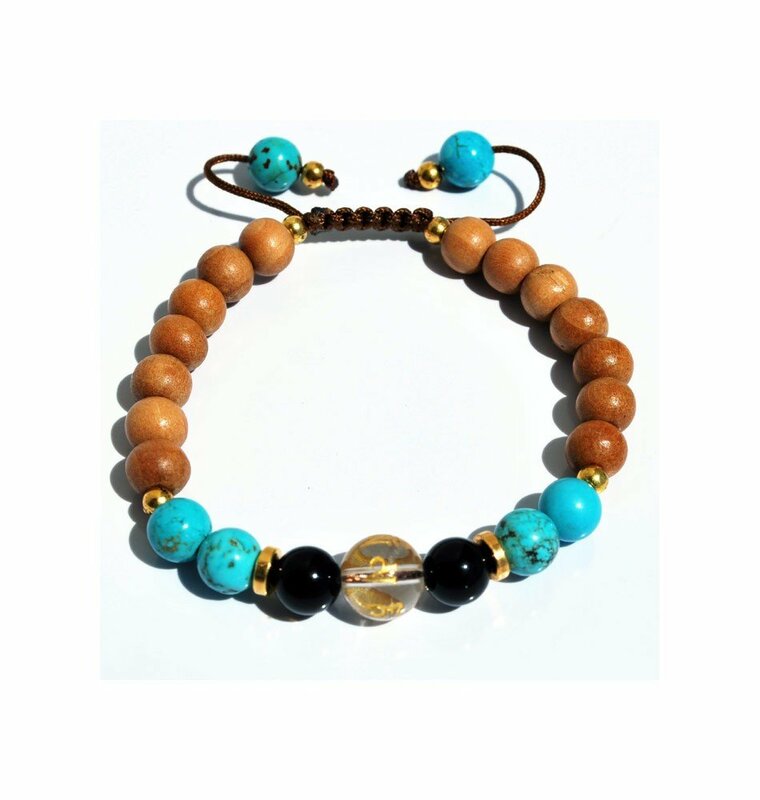 It contains Black Onyx and Quartz Crystal, in addition to your birthstone, Turquoise. Black onyx helps ground an individual and assists in changing bad habits. This may help a Sagittarius with their tendency to grow bored of a project and leave it incomplete. Quartz Crystal magnifies the capabilities of the other stones, allowing you to really focus on the healing powers they bestow upon you. 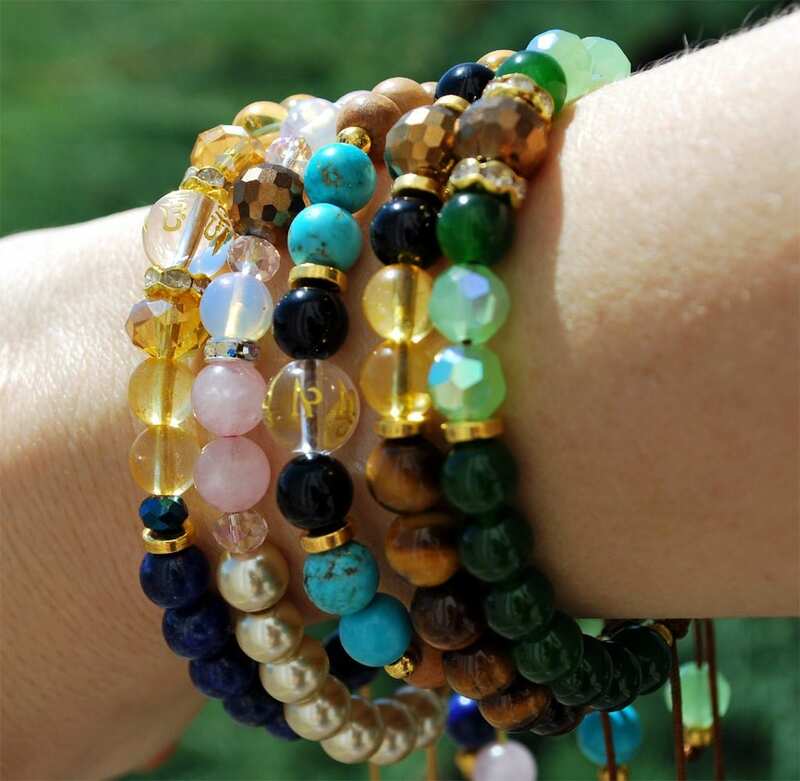 The beautiful Sagittarius mala bracelet is perfect for proudly displaying your sign to everyone around you, as well as offering healing properties and traditional use in prayer.